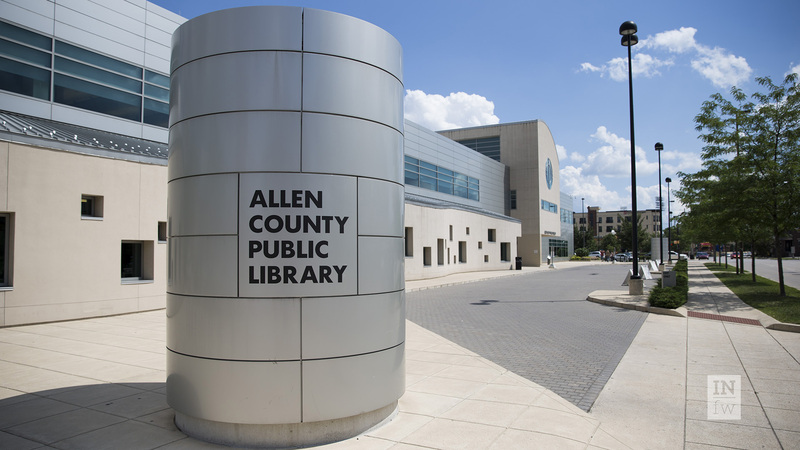 The Allen County Public Library in Fort Wayne, Indiana is far more than a local, county, state or even regional resource. It’s one of the premiere genealogy libraries in the country and draws researchers from all states and Canada with its very large collection and dedication to genealogists. One of its best features is that many of their resources are available online. However, if you ever get the chance to visit, absolutely, do – it’s a wonderful place! 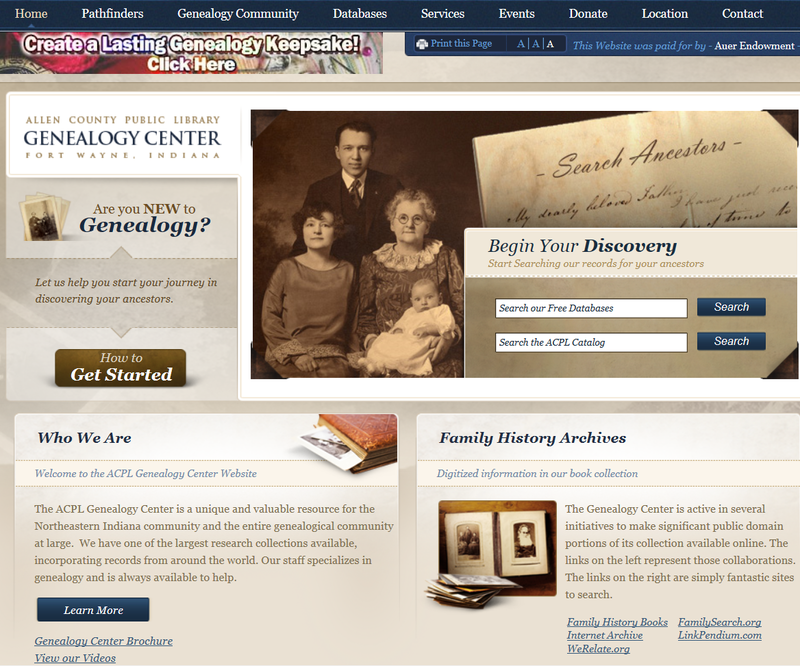 The ACPL publishes a free periodic newsletter, Genealogy Gems, published by Curt Witcher, that you can subscribe to by going to the website: www.GenealogyCenter.org. Scroll to the bottom, click on E-zine, and fill out the form. You will be notified with a confirmation email. This month’s issue included several research tips and hints about Native American research which I’d like to share with you. I’m quoting part of an article written by Curt, and I’m inserting instructions that he didn’t include. 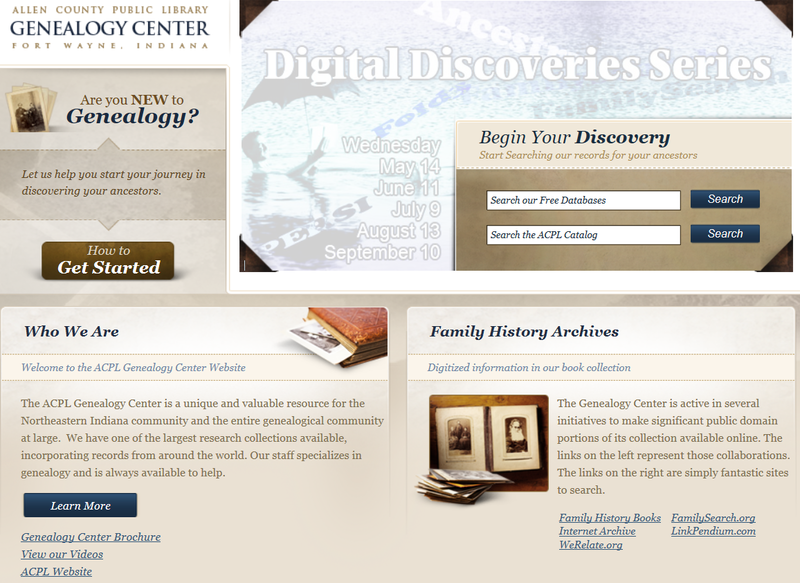 Last month, we took some time to explore a number of marque features on http://www.GenealogyCenter.org. We started with the main page, and that is where I would like to start again this month. On the right-hand side, immediately beneath the search boxes for our free databases and our online catalog, one will find a section called “Family History Archives.” This is one “springboard section” I alluded to at the end of my column last month. This archive section provides one with direct links to copyright-clear materials that have been digitized from the collections of The Genealogy Center. We have digitizing partnerships with both FamilySearch and the Internet Archive. More than 170,000 local and family history publications are available for free use on FamilySearch.org as a result of this multi-organization cooperative. 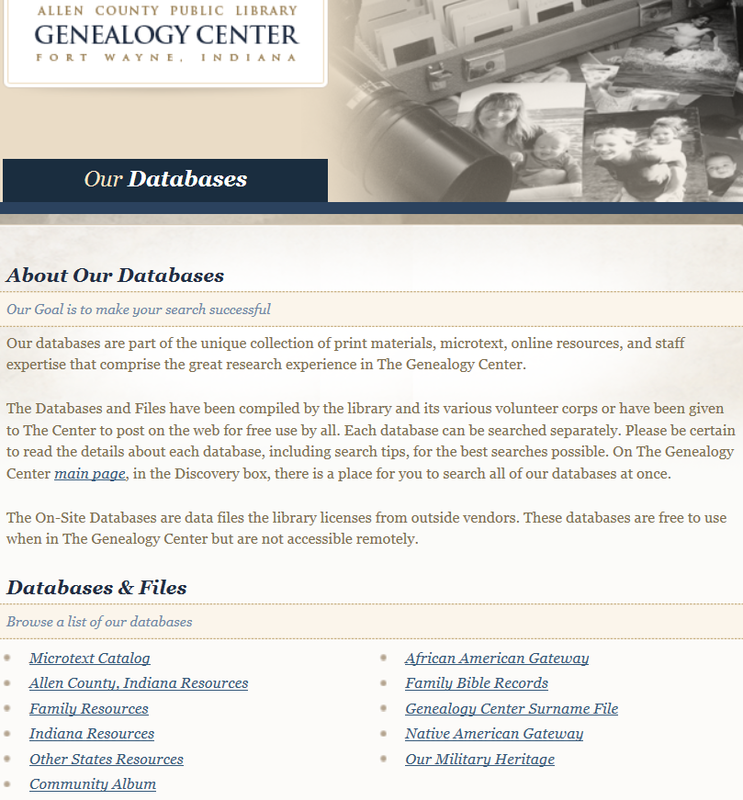 Thousands of Genealogy Center books are available online through this site. More than 80,000 Genealogy Center books and microfilm are available through the Internet Archive web site, archive.org. As with FamilySearch, these materials are available for free. One can view the items online, save as PDF documents, and even download to a Kindle. Be sure to take advantage of this resource by clicking on “Internet Archive” under “Family History Archives.” It’s amazing. Just take a look at the most downloaded items last week. The archives are searchable by key word. Appreciating the challenges of African American and First Nations/Native American research, The Genealogy Center offers two gateways for those interested in these areas of research. The African American Gateway is organized by states, regions, countries outside the United States, and subjects. Within each area, one will find a significant collection of relevant websites along with a comprehensive list of Genealogy Center resources for the specific state, region, country, or subject in which one is interested. There are nearly 10,000 Internet sites categorized in this gateway. Using this gateway is a good way to quickly access pertinent materials to advance one’s research. 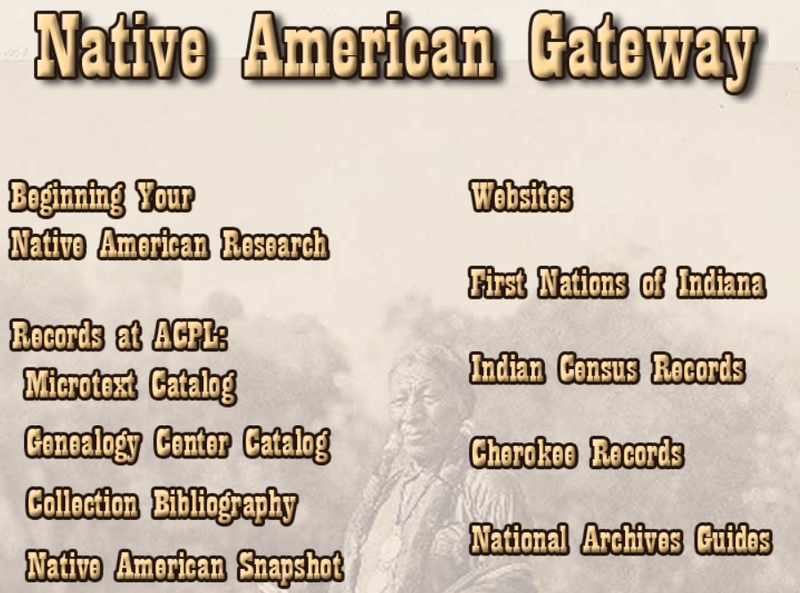 To find the Native American and African American gateways, click on “Databases” at the top of the page on the blue bar. You will then see the options for both the African and Native Gateways under the “Databases and Files” section. The Native American Gateway is organized a bit differently. The first link in this gateway is to short guide on how to begin doing Native American research. Whether just starting or continuing this type of research, taking a quick look at this outline may be quite beneficial. The rest of the links on the left-hand side of main gateway webpage are quick access points to The Genealogy Center collection. The “Microtext Catalog” link takes one to a table that lists all Native American materials in this format. The table begins with a listing of general or multi-tribe materials followed by an alphabetical list of tribe-specific materials. The “Genealogy Center Catalog” link takes one directly to a search screen where one can enter a tribe name, surname, or geographic location to get results specific to The Genealogy Center collection. Under the “Collection Bibliography” link, one will find the additional links of “Tribes,” “Locations,” and “General.” The “Tribes” and “Locations” links are likely the most useful as one can find Genealogy Center-specific materials on more than 150 tribes as well as U.S. states and regions as well as Canada and Mexico. Like the many other snapshots continually updated by Center staff, the Native American snapshot contains major indices and research works to assist one in conducting this challenging research. Further, there are specific materials listed for eight major tribes. 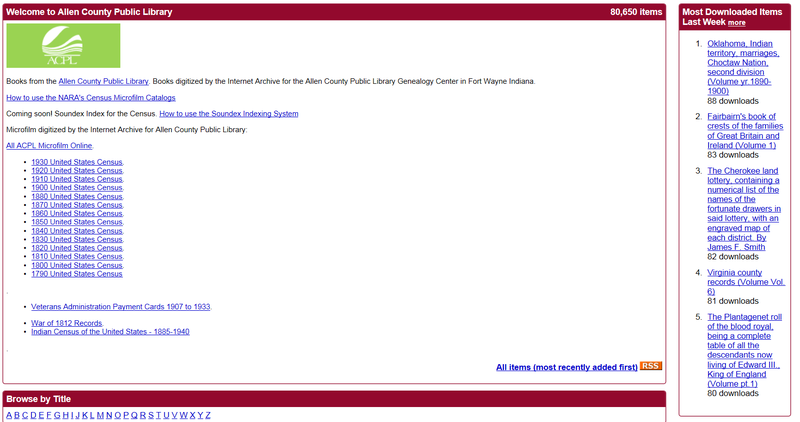 On the right-hand side of the Native American Gateway main page, researchers will find links to “Websites,” “First Nations of Indiana,” “Indian Census Records,” “Cherokee Records,” and “National Archives Guides.” The “Websites” list and “First Nations of Indiana” are not intended to be comprehensive but rather to provide one with some major sites that can offer both solid info and links to other web resources. The “Indian Census Records” section provides several dozen links to important information about First Nations’ enumerations–where they can be found, how to get access them, and how to use that data they contain. The “Cherokee Records” link takes one to the National Archives’ website, “The Dawes Rolls (Final Rolls of the Citizens and Freedmen of the Five Civilized Tribes in Indian Territory).” More links will be added to this site in the future. This gateway is rounded-out with links to three significant guides to National Archives and Records Administration guides. This entry was posted in Cherokee, Research, Resources. Bookmark the permalink. It seems like an amazingly comprehensive and well organized system for something on the county level…..must be great leadership and staff there. Thank you, Roberta, for pointing it out and explaining it so well.